The next time you spark up a bowl and have a beer with it, you should know it's a family affair! That's right. According to Popular Science, marijuana and hops - the flower commonly used to brew beer - share similar organoleptic properties of taste and smell. In other words, they're cousins. They belong to the same botanical family called Cannabaseae. 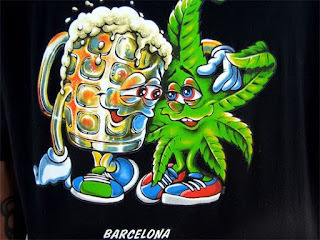 Humulus lupulus (hops) and Cannabis sativa (marijuana) are closly related according to the experts. Cannabis and pot have had a loose relationship for years that was bolstered when the Lagunitas Brewing Company brewed it in 2005. 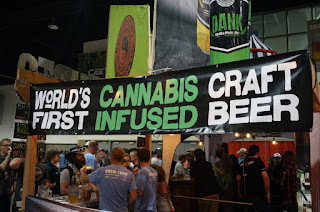 Lagunitas had it's brewer's license suspended after police made marijuana busts at their Petaluma, California, brewery in an event that has come to be known as the St. Patrick's Day Massacre. 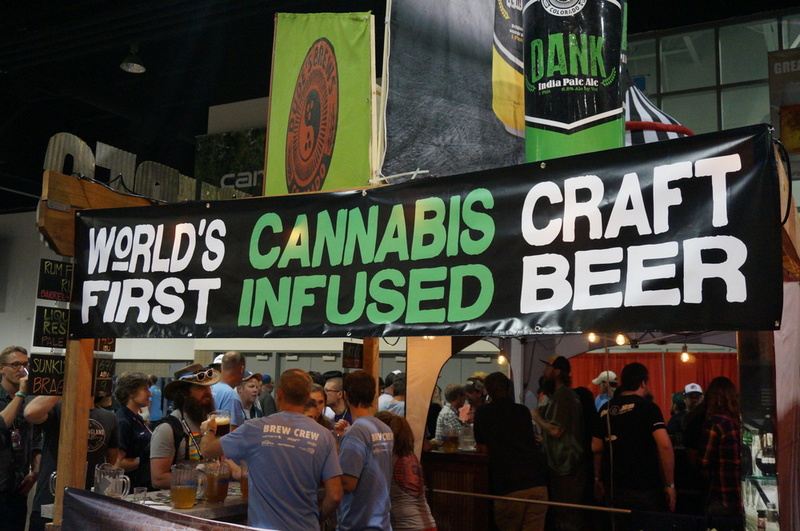 One of the biggest draws for Colorado's Great American Beer Festival (GABF) in 2015 was cannabis-infused beer. Colorado beer brewers Dad and Dudes Breweria, introduced Indica Double IPA. To be clear - there is no such thing as a "commercial pot beer" for sale. That would be illegal. What's being sold has legal hemp oil in it. It's a game of cat and mouse with regulators. No slang or drug terms are allowed in cannabis-infused beer labeling.